The Niagara Regional Police Service, which is facing allegations one of its officers was smuggling steroids across the Canada-U.S. border, has for years had complaints that some officers used and trafficked in performance-enhancing drugs while it did little to investigate, CBC News has learned. Jeff McGuire, Niagara’s new police chief, says he has begun an internal probe into the actions of some officers after the U.S. Department of Homeland Security arrested Niagara Const. Geoff Purdie in Buffalo in April and charged him with conspiracy to export and distribute more than $500,000 worth of anabolic steroids and other drugs. He has been suspended with pay. CBC News has since discovered Purdie and some of his colleagues have been the subject of prior complaints - including formal appeals to the former police chief alleging excessive force, false arrests and steroid use. What’s more, about six years ago, police supervisors received reams of pages of printed emails suggesting steroid use and trafficking by an entirely different group of officers attached to the elite Emergency Task Unit. But it appears police brass took little or no action. Steroid use among police officers has been an issue across North America for some time. This summer, body-builder and convicted drug dealer Reiner Ruska told a Hamilton court that he had many police officers among his clients who purchased steroids and in turn provided Ruska with information about investigations and assisted him with tickets. In a disciplinary matter involving bad behaviour by police officer Roger Yeo of the Toronto-area Peel Regional Police in 2008, the constable testified that a number of his colleagues were using steroids. The Peel Regional Police chief investigated, and the force’s code of conduct now states that steroids are not condoned or allowed on police property. Steroid use by police officers is not illegal, but the purchase and distribution of the controlled substance is against the law and often brings officers into close relationships with drug dealers and criminal organizations. 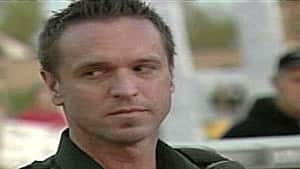 News of Purdie’s legal problems involving steroids - and there is no proof he was taking the steroids he was alleged to have smuggled - have prompted some people in the border town of Fort Erie, where he worked, to come forward with stories of their violent dealings with him. Please send tips to CBC’s Dave Seglins and John Nicol. 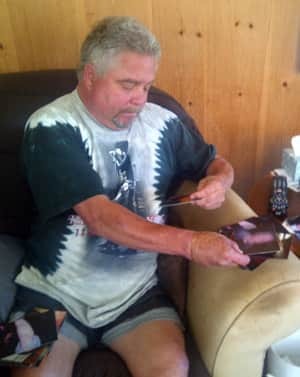 Fort Erie resident Roy Atkinson, a 54-year-old on disability because he lost half his hand in an industrial accident, says he was beaten by Purdie and two other officers after an incident in February at The Plaice restaurant in his hometown. According to police, witnesses and Atkinson himself, the former factory worker got into a dispute when he asked the bartender why a three-year-old girl was being allowed to sit at the bar. Unbeknownst to Atkinson, the female bartender was the girl’s mother and the girl’s father was officer Purdie, who was off duty and seated at the bar. Consequences of beefing up can be dire, as the Niagara force knows intimately. She refused to show CBC News the coroner’s report, but says her husband died from heart failure and had “safe” levels of caffeine and ephedrine in his blood. However, that combination, once popular in body-building supplements and diet products in the late 1990s and early 2000s, is now restricted by Health Canada and banned from most competitive sports due to the number of deaths stemming from their combination. Rathonyi says she still has questions about the physical demands of the ETU tests, but reluctantly admits her husband’s desire to look the part of the brawny, cut policeman might have killed him. Atkinson concedes he complained loudly, and says Purdie flashed his badge and knocked him to the floor, where he hit his head. The officer then took him outside, Atkinson says. Two other uniformed officers arrived shortly after, and Atkinson and his son, Wesley, were charged with causing a disturbance. Atkinson, whose charges were ultimately withdrawn, says the officers lied in their officials statements and notes on the incident. Purdie refused to respond to questions from the CBC, and his lawyer has not returned phone calls. Atkinson says he tried to lay a private assault charge against Purdie but was refused by a justice of the peace and a Crown lawyer in St. Catharines. “I had a clean record until that time. I’ve never been in any trouble. And now all of a sudden I try to go make a report about a dirty cop. And I was treated like…” Atkinson trailed off, shaking his head. Niagara Regional Police refused to comment on whether they looked into the incident, citing privacy concerns. In another case, Purdie and his partner, Const. Ryan Woehl, were subjects of a formal complaint alleging violence and suspected steroid use after they responded to a domestic incident in June 2009. 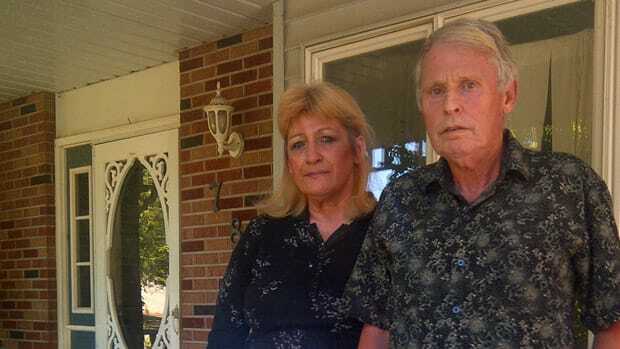 Laura Crawford was in an argument with her husband, Robert Cox, and called 911 for help. Woehl showed up first, and both Crawford and her husband say the officer was acting erratically and began punching Cox in the face. After Purdie arrived on the scene, the couple were confused as to what officer did what. Cox was charged with assaulting a police officer and resisting arrest. The officers testified in court that Cox attacked them, and he was convicted based on their testimony. Crawford filed a formal complaint against the officers with Niagara Regional Police, but it was ultimately dismissed based on the officers’ accounts. Crawford said she met with then police chief Wendy Southall not only to allege the officers lied, but also to present her belief the cops were so bulky and aggressive that they must have been on steroids. “I begged her to suspend him from the force immediately, have him psychiatrically tested and drug tested,” Crawford said. Crawford said she lost faith in the Niagara police when the force would not take action against the officers. Ultimately, police brass and the court that convicted Cox accepted the officers’ testimony. CBC made repeated attempts to reach officers Woehl and Purdie, but messages left with the force, their union and their local detachment were not returned. 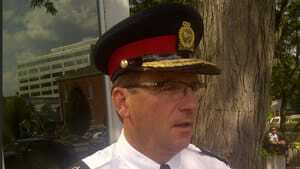 Citing privacy concerns, Niagara Regional Police said they couldn’t comment on Crawford’s allegations. CBC News has obtained more than 100 pages of emails that appear to belong to one Niagara Regional Police officer who served for years on the elite Emergency Task Unit (ETU). While it is impossible to verify with certainty who wrote them, the CBC has taken steps to check their authenticity and has no reason to doubt they are genuine. The emails detail what appear to be a string of illegal purchases of thousands of dollars worth of anabolic steroids from multiple illegal labs and distributors, including purchases from a lab that was busted in Quebec. The emails were delivered to Niagara police internal affairs investigator Joe Matthews (now Niagara’s deputy chief) about six years ago. Niagara Regional Police won’t say whether an investigation was done, but they did confirm that the three officers named in the emails remained on the ETU for several more years and never faced a police disciplinary tribunal. Dr. Atholl Malcolm, a Victoria-based psychologist who screens RCMP and military officers for high-pressure assignments, said the use of steroids can also pose a risk to the public due to their well-documented effects of increased aggression. Few police forces have policies on steroid use, let alone on drug screening for officers. Mike Gamble, a retired Peel Regional Police officer who now teaches crime and justice courses at Humber College, said several years ago that a number of Peel officers were charged with discreditable conduct under Ontario’s Police Act for sharing and distributing steroids, because their use of the controlled substances helped to facilitate criminal trafficking.